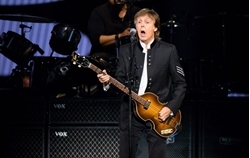 Paul McCartney says he 'self-medicated' after The Beatles split . Beatles Radio: The Beatles, Solos, Covers, Birthdays, News The Fab 4 and More! Speaking to MOJO, McCartney described the song as “candid”. “I did use to get stoned and wasted,” he said.